Photo above is an amazing weeping maple tree in Iwaki City. Look at those powerful branches supporting autumn leaves, although the color was gradually fading out now. Today I visited Nakakamado district of the city, where this tree stands. 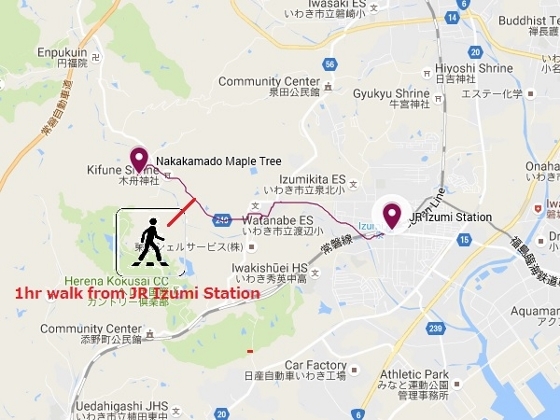 The location is about 1hr walk from JR Izumi Station. The tree had been designated as a National Natural Monument. 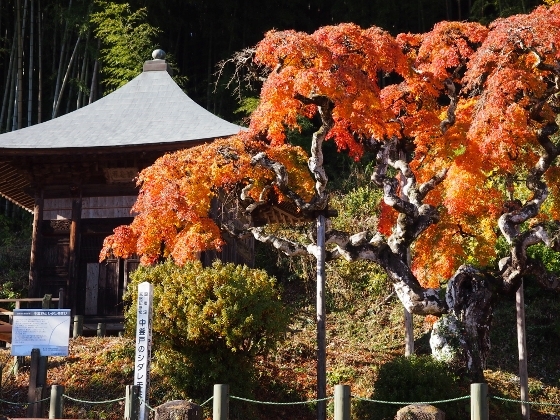 The tree turns its color in late November every year after most of the trees in Fukushima Pref. drop off their leaves. Today there were many visitors here. 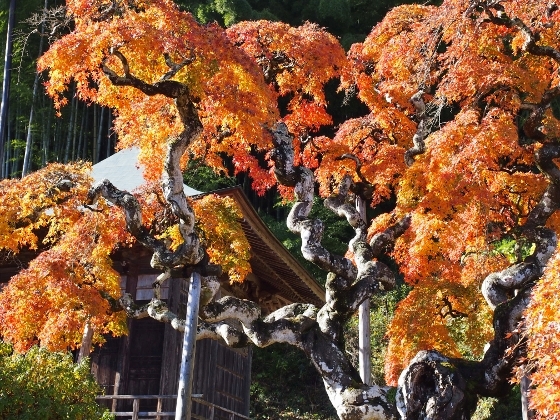 The tree stands by a small and old Kannondo hall as shown above.